Left is surveillance from Maine. Right is surveillance from Connecticut robbery. A Greyhound bus driver has been sentenced to more than 10 years for bank robberies in Buffalo, New York, Vermont, Massachusetts, New Hampshire, Rhode Island and Maine. When Robert Ferguson, 47, of Lowell, Massachusetts, was arrested in July, police in Connecticut said they did not know if he was connected to bank robberies here, but his description was similar to the man who struck in Darien and Somers. 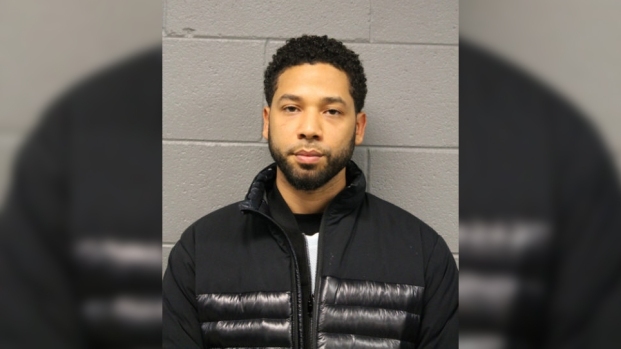 Ferguson, who police started calling the “Burly Bandit,” began his bank-robbing spree on April 9, 2010 in Buffalo, New York. 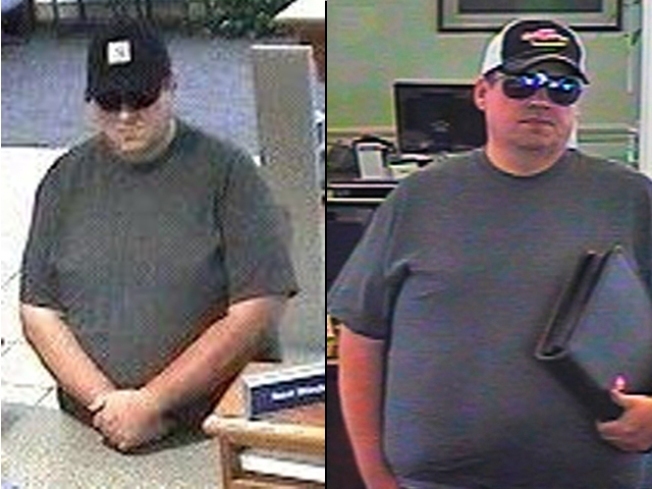 Through April, May, June and July, he robbed 10 more banks in Vermont, Massachusetts, New Hampshire and Rhode Island. On July 13, 2010, he robbed the Bangor Savings Bank in Orono, Maine. Police arrested Ferguson at a Bangor motel on July 14, 2010 after police received a tip from a motel employee. When police took him into custody, they found cash hidden inside an electrical panel on the bus Ferguson had been driving, police told the Bangor Daily News. Witnesses saw a U-Haul truck parked along the street and police learned that Ferguson had rented a small U-Haul truck in Bangor that he picked up at 1:30 p.m. and returned at 3:38 p.m., the Daily News reports. Ferguson pleaded guilty on Oct. 1, 2010 to four counts of bank robbery, two counts of credit union robbery, four counts of armed bank robbery and one count of armed credit union robbery. He was sentenced to 121 months in prison, five years supervised release and a special assessment of $1,100. He was also ordered to pay restitution totaling $81,059 to the institutions he robbed. Connecticut police have been investigating robberies at the Bank of America, 7 Sedgwick Ave. in Darien, on April 12 at 10:30 a.m. and Webster Bank at 637 Main St. in Somers on June 24 at 10:45 a.m. He was disguised in a cowboy hat, a wig, or a variety of hats. Authorities say it's unknown if Ferguson is connected to those robberies.